Whether it's your home or commercial space, dingy dirty carpet does not create a good first impression. San Clemente Carpet Cleaning offers several services to give your home or office the freshening up it needs. Our thorough cleaning and variety of services will treat even the toughest of high-traffic areas to make sure that your space looks welcoming and professional. 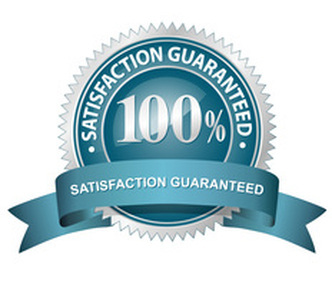 We will help restore your carpet to its soft, fresh, and clean, good as new condition it once was! Commercial spaces are high-impact zones and because of that require more frequent cleaning and special attention. We will send someone out to see what shape the carpet is in and let you know what kind of spot treatment will be needed if any. We offer flexible hours to make sure your home and business isn't disrupted. No need to worry about how to remove stains or the length of time it takes for your carpets to dry. Our highly-trained professionals have the right equipment and are trained on the latest techniques. We are fast and efficient. Regular carpet and spot cleaning are the best ways to extend the life of your carpet. We use hot water extraction cleaning because we find it gives the best results. Our friendly staff are happy to help you with any problem areas you may have. Leave it to us! You have enough to worry about. 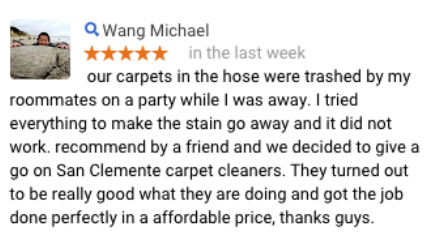 Call San Clemente Carpet Cleaners today at 949-393-4068!